What is an Option Period? Do I need one? Answer: An option period, sometimes called a feasibility period in a commercial real estate contract, is the period during which the buyer does all of their inspections and determines the physical condition of the property they are purchasing. The buyer typically pays a small fee in return for the Option which the seller keeps even if the contract does not close. During this period the buyer can terminate the contract without having to give a reason, this is called a unilateral right to terminate. In a residential contract this period is typically 7-14 days. The option period plays a very important role in the negotiation of repairs because it preserves the buyer’s negotiating leverage, if the seller does not want to be reasonable in addressing repairs the buyer can terminate the contract. The purpose of the option period is to allow the buyer an opportunity to get professionals into the home to determine the condition beyond what a visual inspection would discover. When a buyer writes an offer on a property they are only aware of what the seller listed on the seller’s disclosure and what they could see walking around the property. The buyer has very little information about the roofing system, the foundation, the plumbing system, the electrical systems, the appliances, the air conditioning systems and specialty items such as sprinklers, septic systems, water softeners and pool equipment. Each of these items can be installed improperly, can be poorly maintained, be in need of repairs, or can have been installed a long time ago when the property was built and have been found later to be a safety hazard (such as aluminum wiring or asbestos). 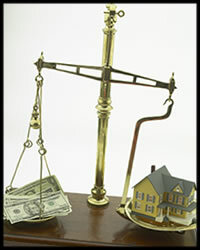 Typically the buyer would start with a licensed home inspector to get a general sense of where any issues may be. From there it is common to hire more specialized contractors such as roofers, electricians or HVAC technicians give a more detailed diagnosis of problems identified by the home inspector and a bid to repair them. The buyer then takes these bids back to the seller and uses them to negotiate for the seller to (1) make the repairs, (2) reduce the sales price by the amount of the repairs or (3) give the buyer a credit at closing in the amount of the repairs. Every negotiation is different, and sometimes the competition for a home is so strong that the seller will not make any repairs, but at least the buyer has the option to continue the purchase knowing any items the need to be addressed. A buyer should always have an option period unless they are very experienced and can determine the condition of all of the major systems for themselves. If a seller refuses to agree to a reasonable option period that is a major red flag and should put the buyer on notice that there could be serious problems with the property. It is in the seller’s interest to give the buyer an opportunity to inspect the property any if they refuse, the buyer should wonder why. If your real estate agent ever suggests that you do not need an option period, hire a different real estate agent. The option fee must be paid to the seller within 3 days of the effective date, otherwise there is no option period. The first day of the option period is the day after the effective date, not the effective date, and the option ends at midnight on the last day. Notice to the seller that the buyer is terminating the contract under the option period must be given in writing.